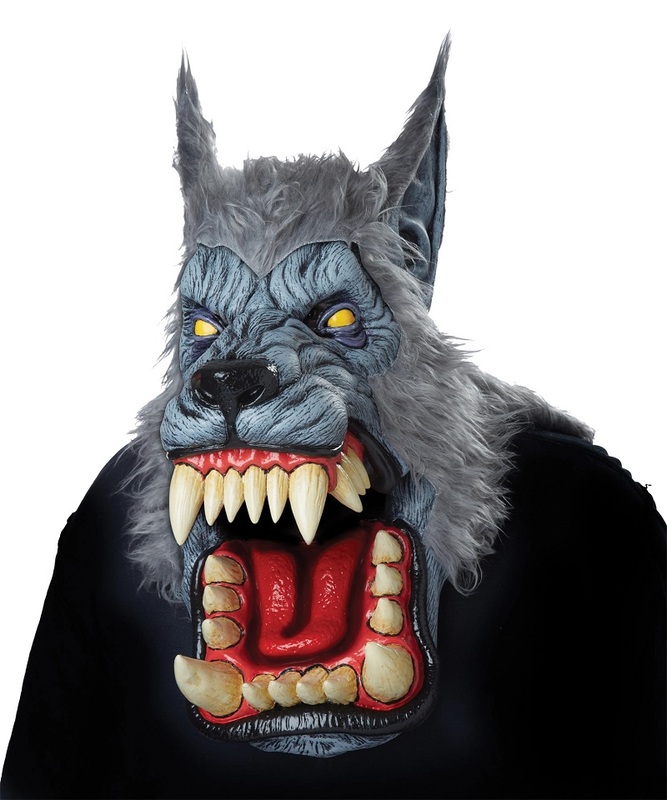 Fearsome mask of a werewolf made crazy by the moon! Latex, full over-the-head mask has fur on head and cheeks, and a giant oversized toothy mouth. Mouth can open and close! One size fits most adults.